Kris is a genius computer programmer who works for SitePen and serves as an elder and missions leader at our church, Sandy Ridge Community Church. In his spare time he likes to go rock climbing, running, back country telemark skiing, hiking, waking boarding or most anything that involves being outside and using energy. He is passionate about using his time and resources in the most efficient way. Nikki, is an administrator at heart who is in the stay-at-home mom phase of life. She also serves on the missions team and the worship team at church. She enjoys running races, reading, and cooking. 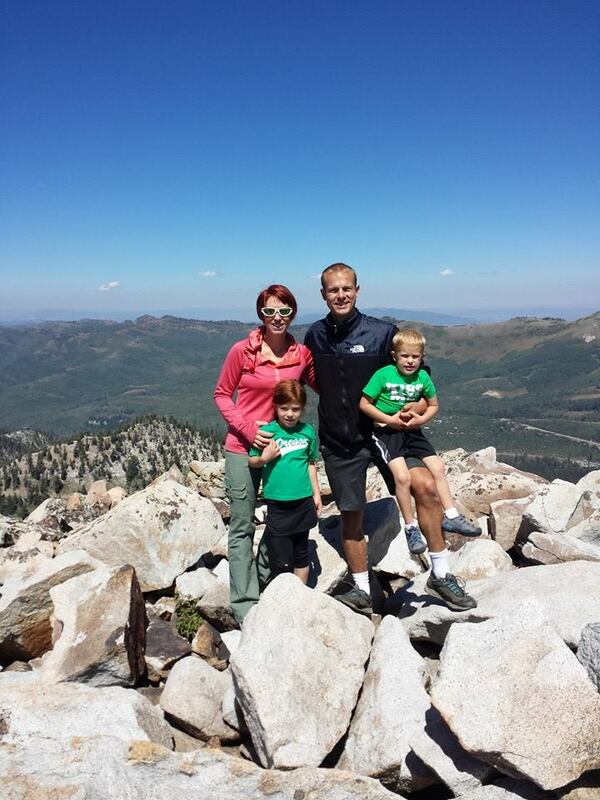 Oregon natives, Kris and Nikki live with their two children in Utah, where they regularly take advantage of the sunshine, snow, and mountains. Love all the pictures! I am finally getting all my thank-yous done. Do you have a new address that I can send yours to??? Thank you for letting me see your website. It is wonderful! Jennika is so beautiful and thanks for the recent e-mail. Our love to all of you. What a feast for my soul!! Reading your wonderful postings bless me more than I can express. And Jennika [rovides such humor. The gum chewing is funny…since she didn’t get hurt. Love you guys!! I come to check in on you and your family and this page needs updating! I’m off facebook for 2014… please share!